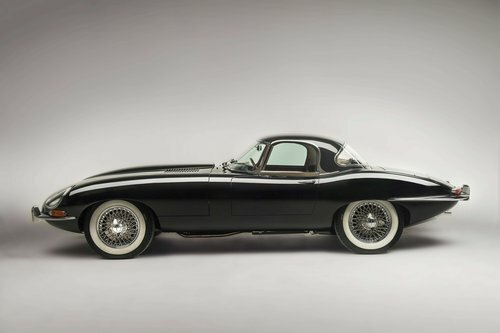 It was exactly 13 years after when William Lyons repeated history by creating a major media buzz on 15 March, 1961 at the Geneva Salon, and not the London one, with the launch of the Jaguar E-Type, demonstrating his desire of pursuing an international career. 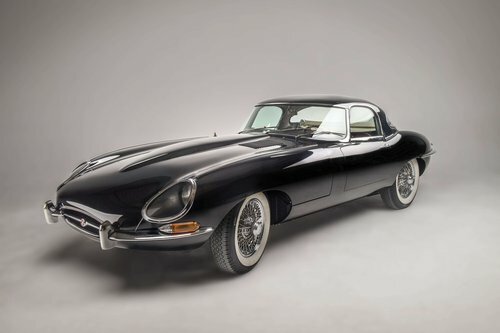 This was the start of a craze for the E-Type that has lasted ever since, and this iconic car was soon acknowledged as the most beautiful car in the world by specialized journalists. 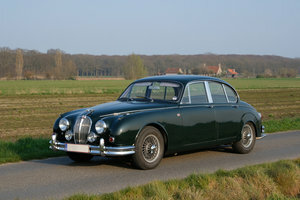 From March 1961 to October 1964, 7,669 units were produced. 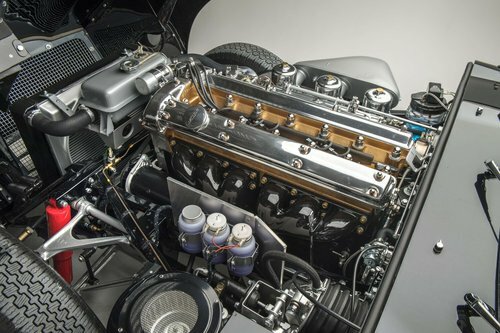 The XK engine, inherited from the 150 S, allows it to reach a top speed of 240 km/h. 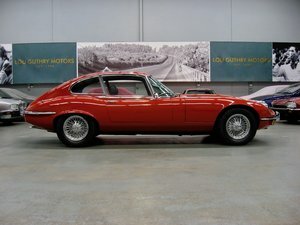 Malcom Sawyer was responsible for the design of the body; he had also designed the D-Type, who was covered in glory after several victories at Le Mans. 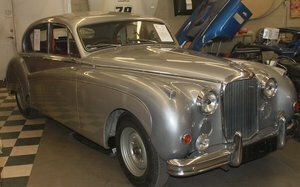 The car on offer left the factory in Coventry on 1 January 1962 and was immediately exported to New York to be sold to its first owner. 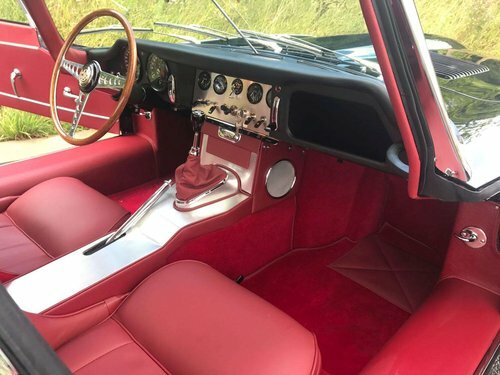 This car represents one of the rare models with a flat floor and welded hood grids, of which very few units were produced after the version with the external closing hood. It spent most of its lifetime in the United States, up until its restoration 5 years ago by an overseas specialist of the model. Unfortunately, the file containing the invoices has been lost but it is clear that the whole bodywork was entirely taken apart up to the chassis. The hours of man power have not been counted to manage to perfectly align all of the openings in order to pay tribute to William Lyons' exceptional work. This Jaguar type E is definitely one of the most beautiful we have ever come across and truly the sexiest in this colour combination, as it was when it left the factory, black with a red leather interior. Its factory hard top gives it a lot of elegance. 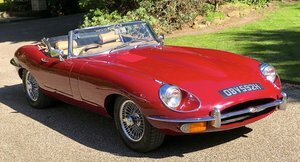 It will be delivered to its future buyer with its Jaguar Heritage Trust certificate, its original booklet and its tool box. 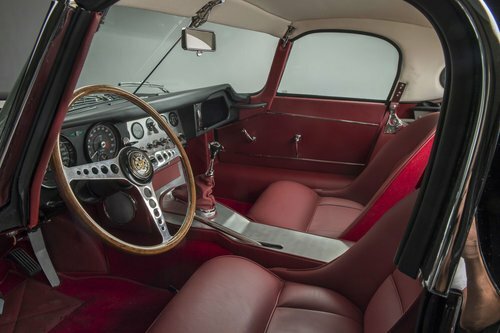 Acquired at our Rétromobile sale in 2018, its current owner, an 80 year old man from Marseille, passionate about beautiful English and Italian cars, finds it a little hard to drive because of his age and missing enough space to fit his dog! 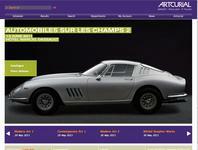 He is reselling it with a heavy heart, having fallen in love with its shape and condition. The type E is certainly one of the most beautiful production models, this one in particular, with matching numbers, is one of the first to be produced, and its condition and purity is breathtaking.